coconut oil | ...and another cup of coffee. 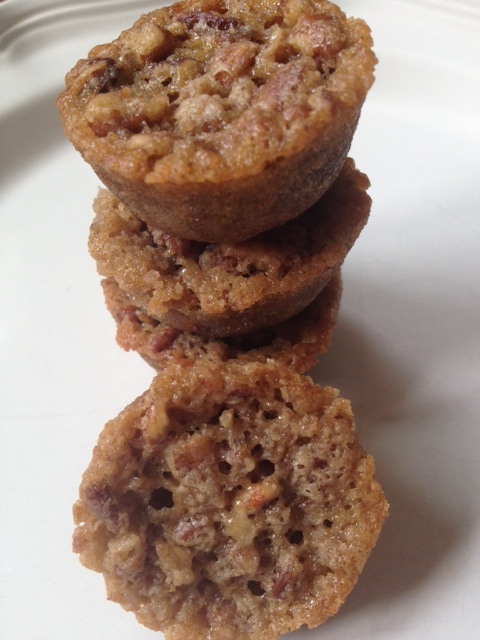 These are such great little treats to have around for coffee with a friend, small dessert after dinner and just to have a bite of pecan goodness without a whole piece of pie or the crust…a little portion control here I guess (not that I like that much LOL). 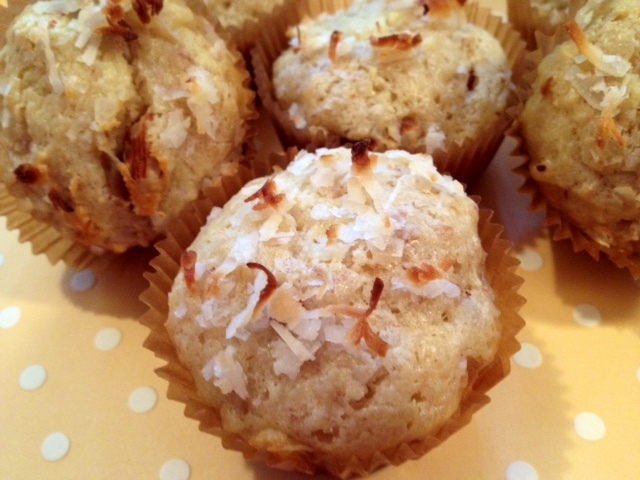 This recipe is perfect because it’s so simple and only make enough for 1 batch (24 mini muffins). Preheat oven to 350 degrees. Spray a mini muffin tin with non-stick cooking spray (I actually used coconut oil spray I found at Trader Joe’s) make sure you spray the pan very well. In a bowl mix together the brown sugar, flour and pecans. In a separate bowl beat the butter and eggs together. Stir in the dry ingredients just until combined. Spoon the batter into each muffin cup about 2/3 full. Bake for about 13 minutes. Let cool for just a bit, then use a butter knife to run around the edges of each muffin to help pop them out. It got very hot over here in our neck of the woods. I’ve been wanting to make something new for a dessert but everything I had in my recipe binder required use of the oven. I was not about to let the air in my house get any warmer than it already was at that point. So oven use was out…completely. So I came across this recipe on Pinterest (love that site♥) and I made changes to make it my own. Once again, this recipe uses coconut oil in place of butter. 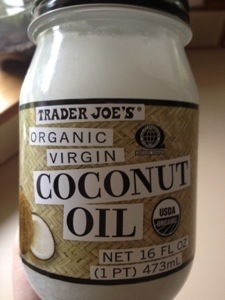 The great thing about coconut oil is that it does not taste like coconut. It has a mild fragrance of coconut, but when used in most recipes you can hardly notice it. Melt the peanut butter, honey and coconut oil over med-low heat in a saucepan. 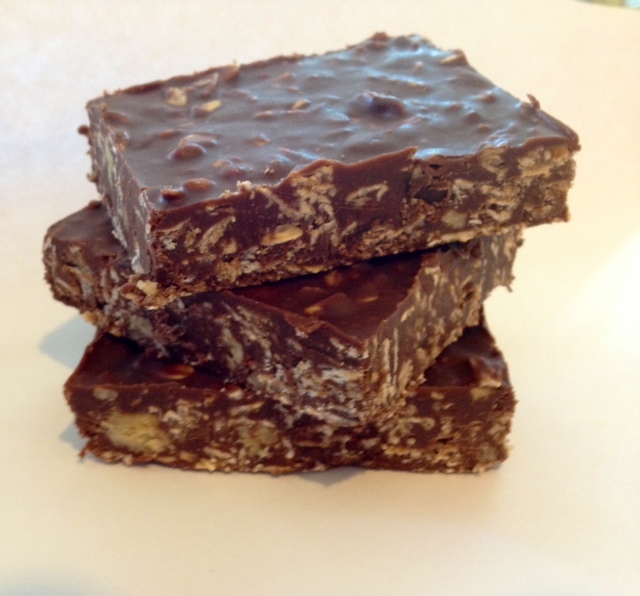 Once melted together remove from heat and add in oats, chocolate chips, nuts and vanilla. Stir together until the chocolate is completely melted. Pour into a greased 9 x 13 pan and cool in the fridge. 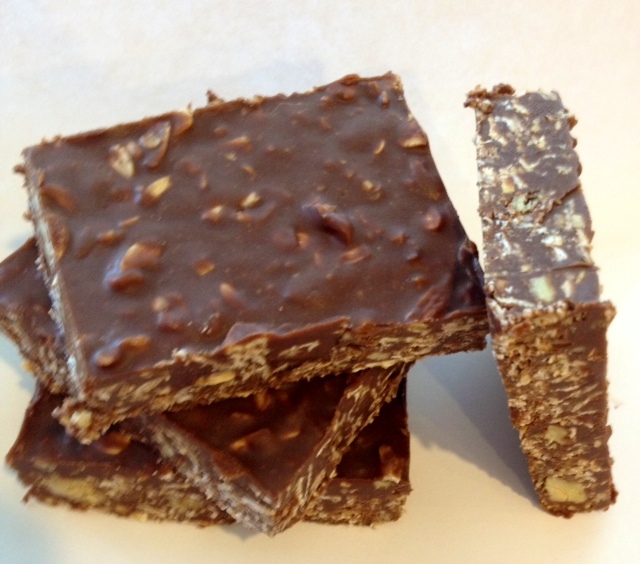 When mixture is hardened, cut into bars. Store in the fridge or freezer. Tip: An electric hand mixer will work, but my Kitchen Aid stand mixer did an amazing job and I was able to get other work done while it was mixing away. A blender or food processor will not work with this coconut oil recipe, because they tend to warm the oil too much and prevent it from whipping up. 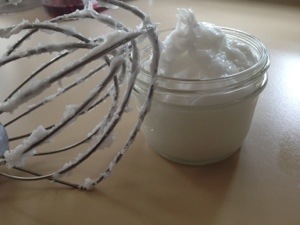 ** Your whipped coconut oil should stay relatively soft, even at colder temperatures. If it’s really cold, it will become a little more solid, but not rock hard like it normally does.